An open-world first person sci-fi platformer. Thanks again, and I hope you understand my situation. Since I am a pretty new game developer and still have a lot of school to attend to, I currently can't check out events like GDC. Itch.io has really been a blessing for me though. I've been making games for almost seven years, but I had never uploaded anything online until my first game jam just over a year ago. That led me to discover how easy it was to distribute games and interact with developers on itch.io, and now I have released over six games and even finished my first full game based on my first game jam participation, Recyclinator. My life has changed a lot since then, and I've met lots of awesome people online thanks to itch.io. I just want to thank you for being a great platform where I can channel my creativity. 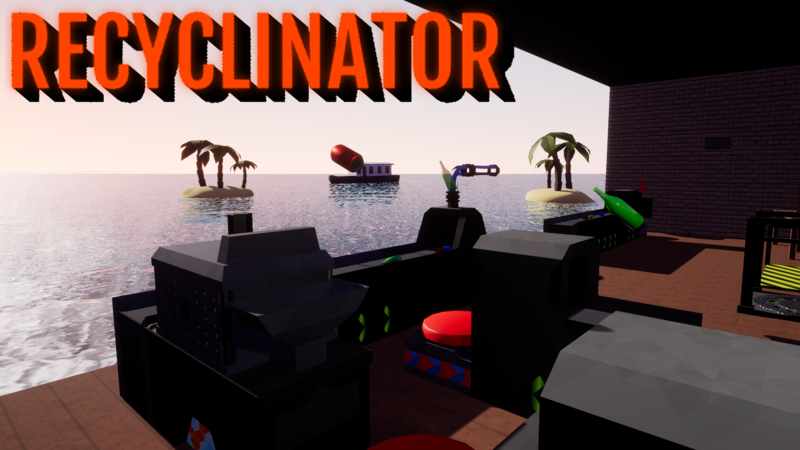 Recyclinator is a unique problem-solving puzzle game. The levels never have any "definitive" solution, it is up to you how you solve it. The game is relaxed but challenging, and will require creativity and logic to be finished. It can be played, not only in single player, but also in split-screen and in VR. The game is now released! Is there a difference between when placing the pizzeria and baking the pizzas? The Incredible Story of Pizza (prototype version) community · Posted in GREAT GAME! itch.io Community » Game Development » Release Announcements · Created a new topic Try out Recyclinator for free! Recyclinator is a sandbox problem solving game about building recycling systems. You are encouraged to solve the problems in your own way, and take advantage of all the tools at your disposal. The full game will release later this year, but you can try out this version to get a glimpse of what will be available. Both this version and the full version is playable in VR.